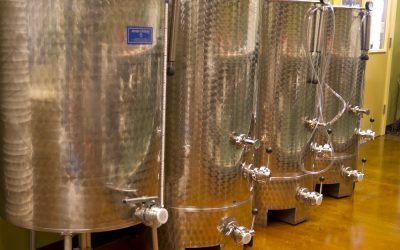 About Austin Custom Winery | One of the first micro wineries in the US. 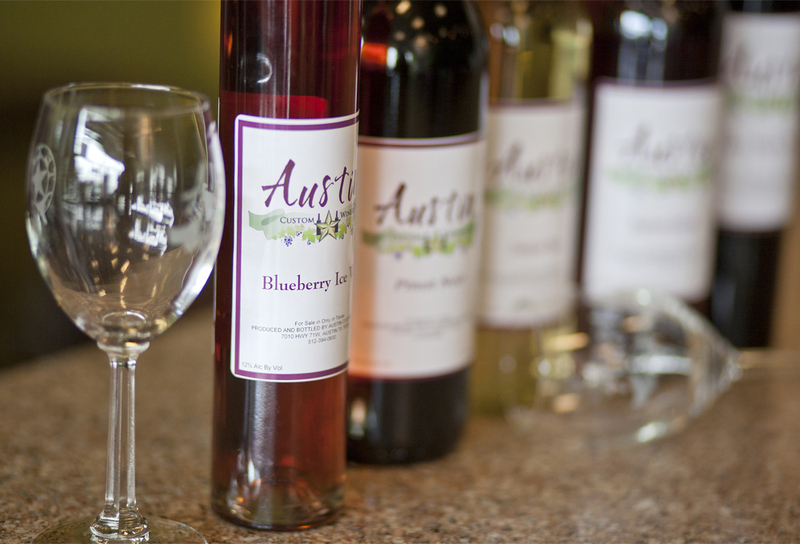 Austin Custom Winery is one of the first micro wineries in the United States. 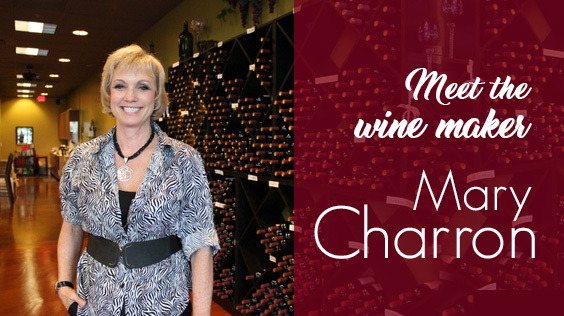 Located in Austin in the city of Sunset Valley, our expert wine maker (and native Texan) Mary Charron is one of Austin’s most experienced Vintners. Every experience begins by sampling a variety of our own custom vintage wines. Each wine has been carefully crafted and bottled on-site, just steps from the warm, Tuscan-styled tasting room. Austin Custom Winery is constantly searching for the finest grape harvests the world over, resulting in a high quality wine. Your tasting experience is one of fun and enjoyment. No wine mysteries here. Where else can you pick out a bottle of wine and taste it before you purchase it? 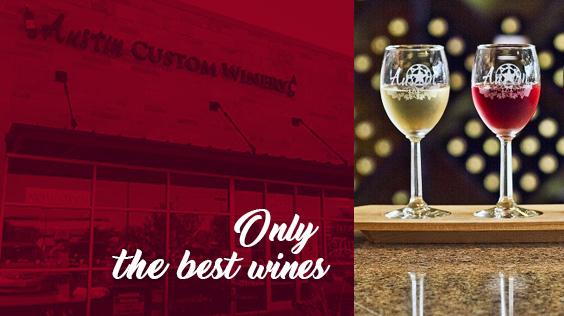 Taste: Austin Custom Winery also provides daily wine tastings, allowing you to expand your palette with different wine varietals. Don’t get stuck in a rut. No matter if you are a wine connoisseur or just starting, you will find a new wine to fall in love with. Design: Craft a customized label for your wine. 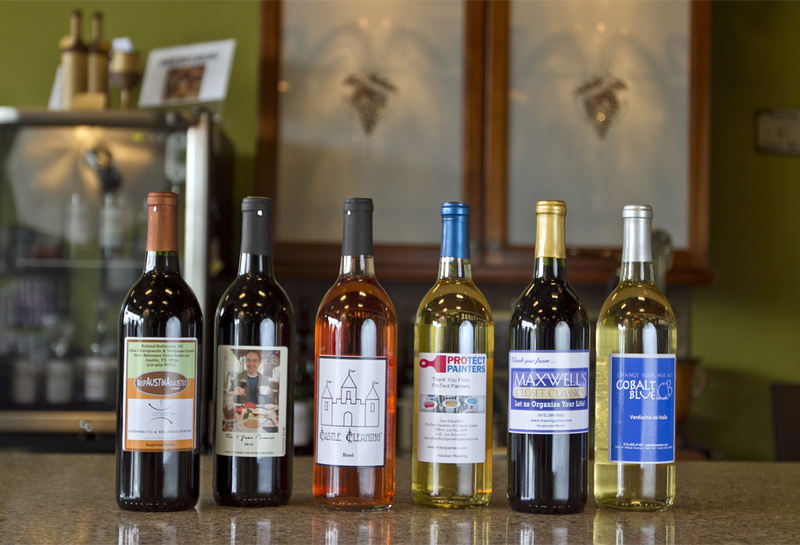 Whether you are celebrating a birthday, wedding or anniversary, or just to enhance your own wine rack, walk out the same day with a custom-labeled bottle of your favorite variety. Create: If you’re looking for a truly unique experience, we invite you and your friends to come be a Vintner with us for a day! If you’re looking for a special event with your spouse, a corporate field trip, or just a day out with your friends, this is a special treat you’ve never experienced before and won’t soon forget. More than a decade ago, a birthday gift changed the trajectory of Mary Charron’s life and career. She was already a wine lover, but when a friend treated her to a winemaking excursion Mary was instantly hooked. Mary immersed herself in the practice of winemaking. Within months, she traveled to Michigan to study winemaking at the Vintner’s Cellars headquarters. In 2007, just a year after her first winemaking experience, Mary opened a Vintner’s Cellars location of her own in Austin, TX. It was the first micro winery of its kind in South Austin. The model proved to be successful, and after two years, Mary decided to strike out on her own as the independent owner of Austin Custom Winery. The goal was to create a community space where people could learn more about the winemaking process while enjoying the fruits of her labor. Most patrons at Austin Custom Winery would consider Mary to be a friend first and vintner second. You can find Mary on site at Austin Custom Winery almost every day of the week chatting with customers, offering up suggestions and working on the latest batch of wine. MEMBERS RECEIVE VIP ACCESS TO LIMITED WINES AND PRIVATE TASTINGS. Do you ever get hung over or that horrible feeling when you wake up after a night where you had a few glasses of wine?